Few celebrities exemplify the phenomenon of backlash quite like Macklemore. 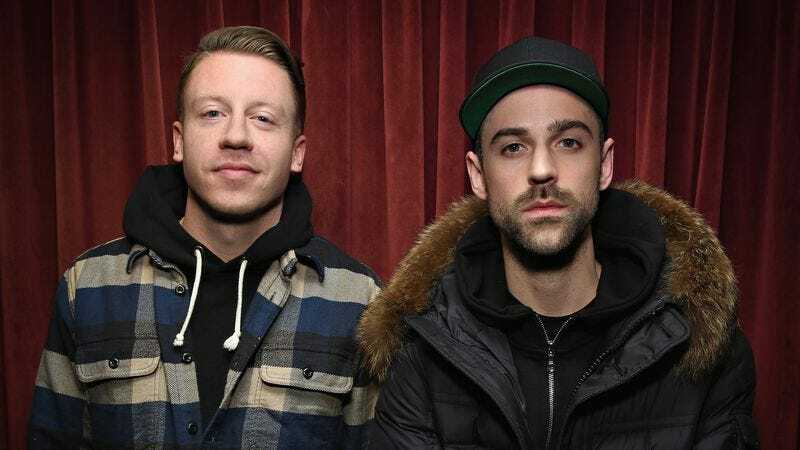 When The Heist was released in fall 2012, Macklemore was hailed as an indie rapper who found mainstream success without giving in to major label hierarchy, and praised for advocating for marriage equality on “Same Love.” But by January 2014, when he inexplicably beat Kendrick Lamar, Kanye West, Drake, and Jay Z for Best Rap Album at the Grammys, the tides had turned considerably. Macklemore’s success is now viewed as a mere product of his whiteness, and people have come to wonder if “Same Love” was more of a cynical ploy to gain fans in the LGBT community than a true show of support. But in the two years since Macklemore’s Grammy victory, he’s been working on a potentially career-altering followup. The result? An often-entertaining album that will change absolutely no one’s opinion of him. From the beginning, listeners are reminded that the “& Ryan Lewis” portion of this duo may be underbilled. Like many tracks on The Heist, opener “Light Tunnels” is aided immensely by Lewis’ vibrant production, as the six-and-a-half minute account of Macklemore’s life since becoming famous is given extra grandiosity thanks to his flourishes. Lewis also does an able job providing musical backing to the more somber “St. Ides,” in which Macklemore considers the more serious ramifications of his fame, while also nodding to his past struggles with alcoholism. 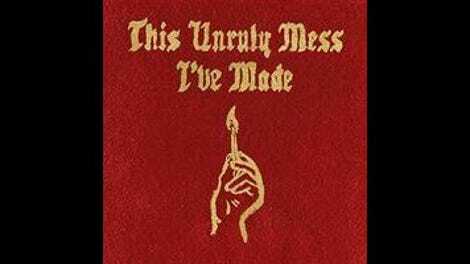 While the introspective moments are intriguing, This Unruly Mess I’ve Made is at its best when Macklemore lets his sense of humor shine through. “Downtown” won over some of his more intense haters because it’s simply about having fun. Somehow, when Macklemore is rapping with Kool Moe Dee, Melle Mel, and Grandmaster Caz are about how enjoyable mopeds are, his place within our culture no longer seems like a big deal, and we can just enjoy ourselves. The same proves true for “Let’s Eat,” a light-hearted number about Macklemore struggling to go on a diet, and “Dance Off,” a likely single that features a surprise cameo from Idris Elba. When Macklemore is having fun, he’s as charismatic as any rapper around. There is some truth to this statement, and it is remarkably candid of Macklemore to go there, and yet, what should we make of this? It seems like Macklemore is trying to apologize not only for his success, but his own existence, like he’s trying to convince everyone who angrily tweeted their outrage over him beating Kendrick Lamar that he’s actually on their side. The problem is, writing songs that essentially say “sorry for being here” only confirms people’s expectations that you shouldn’t be here. If Macklemore had stuck to the topic of police brutality and the Black Lives Matter movement, he could have really had something. But by tying it to his own career, the message feels less like a radical protest, and more like a clumsy apology. It’s hard to think of a more apt title for this album than This Unruly Mess I’ve Made. Listeners can find everything that made Macklemore popular in the first place, mixed with everything that lead to the intense backlash against him two years ago. The result is an album that will not alter Macklemore’s place in pop culture in the slightest. The silent majority will buy this album in droves, while Twitter will keep making snarky jokes about him at every opportunity. With this album, Macklemore proves that he won’t be a mere flash-in-the-pan, but if his goal was to shed his reputation as the World’s Uncoolest Rapper, he has missed the mark considerably.